Alumnae share the Au Naturale experience with former classmates and new SNC friends. It’s a recipe for empowerment and fun: intriguing events plus inspiring women who share a common alma mater – St. Norbert College. 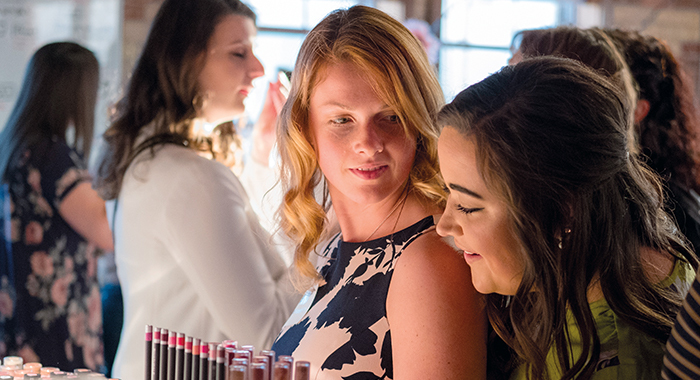 Knight Lights, the college’s new women’s network, launched in April with a colorful inaugural event at Au Naturale, a Green Bay-based makeup business run by Ashley Prange ’05. Prange leads a team of 22 employees in manufacturing, packaging and selling the high-end “clean beauty” brand, available in 176 locations this fall with global distribution. Prange’s message to the women in attendance focused on taking opportunities and maximizing one’s network. When she needed to find talented employees to expand her business, SNC mentors helped her recruit Paige Peerenboom ’14. Peerenboom says she was glad to have an opportunity to show fellow alumnae the Au Naturale operations. Organizers hope to hold a Knight Lights event twice each year. What are this season’s big trends? 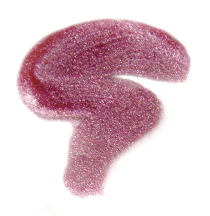 Peerenboom says pinks, oranges and monocolor are hot, which is why Au Naturale is marketing a multistick that can be used on lips, cheeks and eyes.